As a business owner, you record lots of different kinds of transactions. ZipBooks makes it easy to find exactly what you need to see within your account. A list of all of your transactions will appear, sorted by date, with the most recent appearing first. Green transactions are deposits (like sales), red are withdrawals (like expenses), and blue are transfers between your accounts. 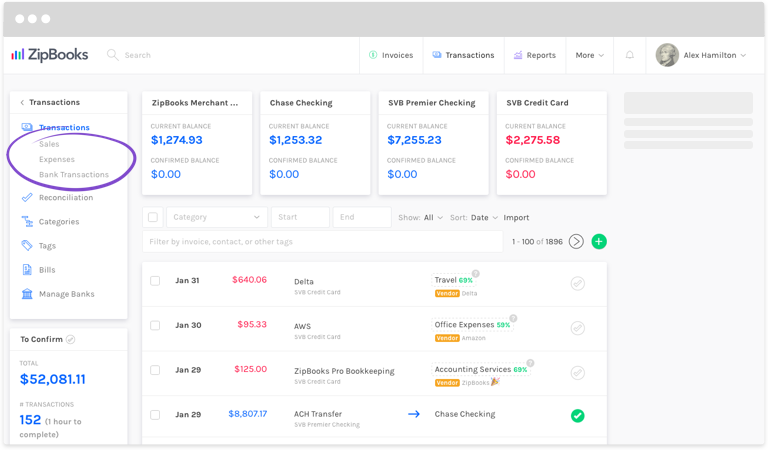 Use the menu on the left to narrow your list to Expenses, Sales, or transactions from Bank Accounts. Use the tools above your list of transactions to filter your results even further. 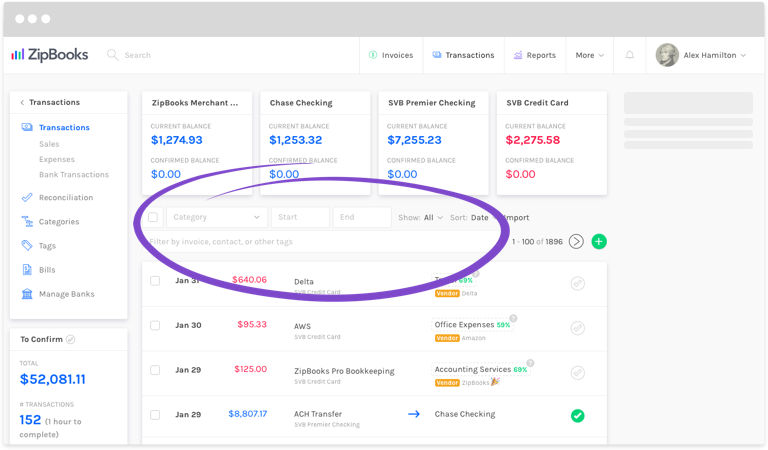 Choose a Category of transactions, Start and End Dates, and filter by Tag, Contact, or Invoice. You can also filter your list to only include Confirmed or Unconfirmed transactions. Note: If you have customers set up on recurring billing and automatically charge their cards every time you send an invoice, you’ll only see a filled in I on their invoice amounts.